Crushing ice with hands can be an onerous task. Since most people prefer cool beverage with some crushed ice especially during warm or hot weather, bartenders, mixologists and homeowners prefer using ice crushers. 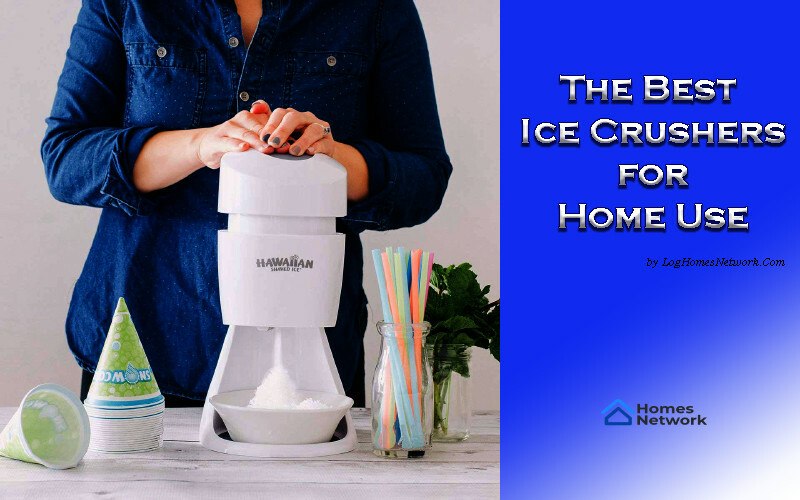 These ice crushers for home use come in handy when you have visitors. You can use pulverized ice to make palatable drinks. There are arrays of ice crushers for home use some of which crush colossal amounts of ice per hour. 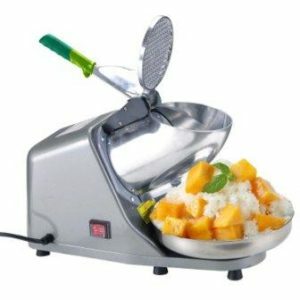 However, you do not need these gargantuan ice crushers machine for home use. 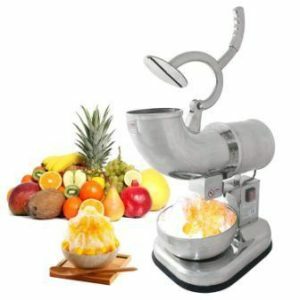 Since there are a lot of ice crushers to choose from, you may be spoilt for choices. All you need is the right information to make an informed choice. If you are having difficulties choosing the best ice crusher for home use, do not fret. I have scoured the web and pared down ten ideal home ice crushers for home use. 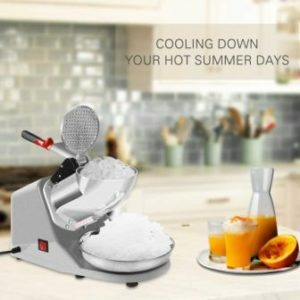 In this article, I will guide you on how to meticulously choose the ideal ice crushers for you and also we reviewed the best ice crushers. So, first things first. Here are the ten best ice crushers for home use. This is a perfect appliance to add to your kitchen from VICTORIO. It is made of stainless steel blades that crush ice into the required texture. It has a strong suction base to keep the ice crusher steady during use. The best part is that it can hold 4 cups of crushed ice. Durable- It is designed with stainless steel to prevent rust and stand the test of time. Easy to use- Simply hold the lid and turn the handle to get finely crushed ice. Suitable capacity- The container can hold up to 4 cups of pulverized ice. Light- Weighing about 1.5 pounds it is very light and hence easy to use. 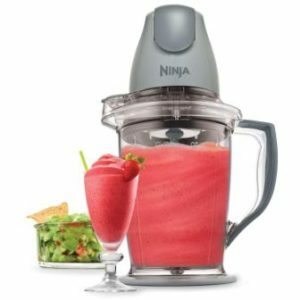 Ninja master prep is a multifunctional blender that crushes ice in seconds. For added versatility in the kitchen, it uses pulse technology which utilizes interchangeable 400-watt power pod that switches between a 48-ounce pitcher and a 16 oz hopper bowl. It has wide splash guards and no-slip bases hence keeping your kitchen tidy. It is ideal for home use. It is a classic treat for your home. When used according to the instructions it shaves fine snow. Hawaiian shaves ice s900A looks good hence giving your countertop an aesthetic outlook. It can also be easily stored by dissembling it in seconds. One unique feature about this ice crusher is that it allows ice blocks to thaw for about 7 minutes to provide best quality ice. It also comes with two ice mold to freeze ice blocks. It overheats if run consequently for more than two minutes. Letting it cool in between use may be quite inconveniencing. Vivihome electric ice crusher is definitely one of the best ice crushers for home use. 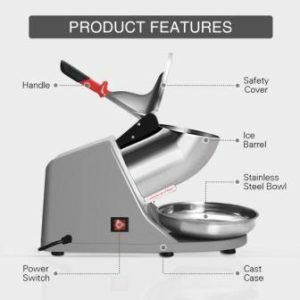 It features a corrosion-free, food-grade stainless steel blade and hopper. It can meet huge ice demands as it shaves about 143 lb of ice in one hour. This ice crusher also has reduced vibrations and noise for a relaxed homely ambiance. You do not have to worry about it getting damaged by water because it is water resistant. It also minimizes injuries by automatically closing shutting down the blades when the hopper is open. There are complains of this ice crusher stopping to work after a short time of use. This electric ice shaver form ZENY has a sleek and elegant look that gives a style touch to your kitchen. More importantly, the all stainless steel and waterproof design ensures that it will continue to serve you for quite a long time. You are also assured of a fully stable station due to the heavy cast base. If you need to make all kinds of ice drinks at home, then this is what you are missing. 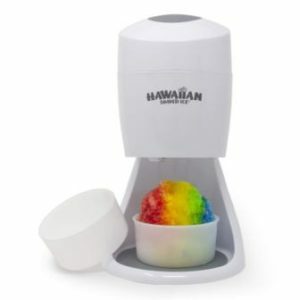 It is perfect for making snow cones. This ice crusher can be quite noisy and leaky from residual ice leakage which, ostensibly, is supposed to be caught by a paper towel between the shaver body and pan. Cuisinart snow cone maker makes shaved ice for adult drinks, lemonades and snow cones using regular ice cubes. You can easily use with a touch of a button. The manufacturers also prioritized safety while making the gadget by ensuring that all parts that come into contact with food are BPA free. This cone maker also comes with two cone holders for storage areas. The blade, pullout serving tray and motor have an interlock safety feature. The best part is that it offers you free recipes and 12 paper cones. It is a perfect match if you are tired of paying for convenience by buying cones for over $3. You can easily make them at home and save more. It is very fast-You can make up to 5 cones in one minute. It has plastic handle hence you have to be careful not to put so much weight, or it will break. 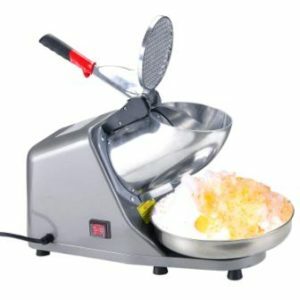 This snow cone maker from is an ideal ice crusher for home use. It can hold approximately 20 snow cones. 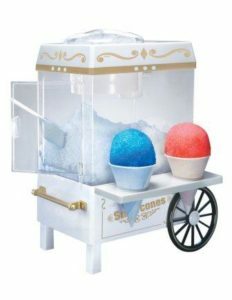 It has a convenient countertop model and cone shelf that can hold two snow cones at a time. The snow blades are made of stainless steel for maximum performance. You do not have to worry about your safety when using it since it comes with in-built safety switch. Comes in handy when you have home parties. It is designed with flavor options to create mouth-watering beverages, syrup and juice. 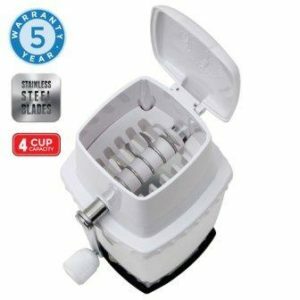 This is a powerful ice crusher suitable for home use. It can prove to be very helpful during birthday parties. It can crush 26.5 pounds of ice per hour. It is designed with a 3.5 liters ice collection tray. It weighs 8.2 lbs hence quite bulky and has a 4.5 feet ice capacity. Easy to operate- It is a fully automated ice crusher that can create 26.5 pounds of crushed ice without producing snow. You just switch it on an in no time you have perfectly crushed ice. Koval ice shaver is easy to use a machine. 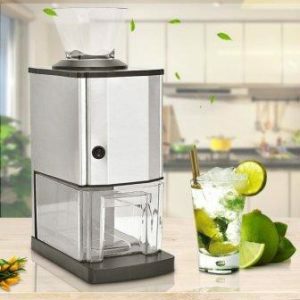 It gives you to have exhilarating experience of making stupendous drinks at the convenience of your home. It works perfectly with crushed ice or ice cubes. In fact, you can put any ice as long as they have a similar size to the hopper. Safety- This machine design also prioritizes on the safety of the user. It shuts off automatically when the hoppers are open and have a waterproof cover that guarantees safe operation. This is yet another perfect ice crusher for home use. With all stainless steel construction, you can rest assured of longer life span. The dual shaving blades produce fine ice. This ice crusher uses 250W power spinning 2500 runs per minute. It can produce 440 lbs per hour. This water-resistant ice crusher has an on and off switch for safe operation. The finish is lackluster with sharp corners and visible welding. Would you like to make delicious drinks that will awaken the taste buds of your visitors? Quality ice crusher is a prudent purchase if you are looking to make your summer days more enjoyable. You will thrill your children when they hear you will make ice cones from home. When choosing an ice crusher, there are prerequisite considerations you have to keep in mind. It is imperative to choose a suitable machine that solves your needs. However, choosing an idea ice crusher machine for home use is not a walk in the park. 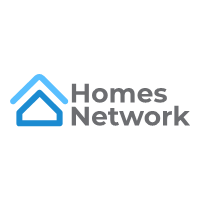 Whether you have purchased an ice crusher before or you looking to buy one for the first time, there are fundamental considerations that you must that you can’t bypass. Without much further ado, here these are the things to consider before picking the best ice crusher for home use. When buying an ice crusher, like everyone else, you want one that will stand the test of time. This is true especially if you feel you paid a little too much for the machine. It is prudent to purchase a stainless steel one that is rust free. This is because it will be coming into contact with too much water. However, you will also have to do your part by maintaining and cleaning it regularly. What is your budget? This is perhaps the first question you should ask yourself. Well, there is a bone of contention when it comes to cost. Just ensure that you do not compromise on quality when considering the price. Since varying manufacturers have varying prices be sure to check out different manufacturers. You might come across a discount which will help you save you some cash. For an ice crusher for home use, you definitely do not require one that crushes lots kilograms of ice in 30 minutes. That is ideal for commercial use. Huge ice crushers also consume a lot of electricity. If you have a small home or a tiny kitchen, you may want to go for a small ice crusher. A compact and easy ice crusher for home use will be easier to carry around. The size also matters since you might decide to bring the machine with you for camping trips, family parties or gatherings. A heavy and bulky ice crusher will prove very difficult for in these instances. A suitable ice crusher should have a motor power. When buying an ice crusher ensures it you check this essential element since most ice crushing machine fall short of this feature. It should be powerful and safe to use. A machine with reasonable motor power can crush significant amounts of ice without difficulties. It is better if you can get a crusher with additional features that enhance the machines power utilization. For instance, it is recommendable to buy a machine that has a cooling feature that turns it down when overheating to allow it to cool down. Similarly, be wary of ice crushers that have inherent electric faults which can cause injuries. The most important component in ice crushing machines is the blades. For stellar performance, the blades should be made of strong materials. The design of the blades is also important. Sharped blades or any other design that allows the machine to crush the ice easily is more recommendable. Blenders with sturdy blades especially located at the bottom or near the side of the jar will serve you perfectly. If the blades are made of stainless steel, do not hesitate to buy. When purchasing the right ice crusher for home use, the design should be at the top of the list. A machine with wide pitcher allows the contents to fall on the blades more easily hence speeding up the process. The size and shape of the jar will significantly decide the quantity and speed you get from the crushing process. Always go for machine made of impact resistant glass or dense polycarbonate. An ice crusher for home use is something you will be using regularly or on a daily basis. Certainly, it should be easy to assemble and operate. You do not want to purchase a machine designed complexly, do you? Look for an efficient and straightforward machine that will not waste your energy and time. When purchasing an ice crusher you-you should first have a clear picture of what you actually need. 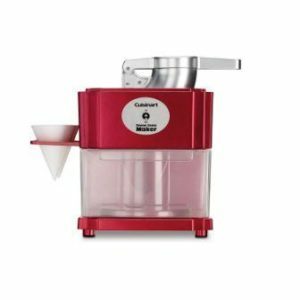 Should you go for a manual or electric ice crusher? A manual ice crusher if will allow you to produce perfect quantities enough for your drink. Hence it will prevent much ice from going into waste. On the other electric ice, crusher will come in handy when you have a party at home. The bottom line is that before purchasing an ice crusher, it should pass all the above guidelines. Does it fit your price range? Is it durable? An ideal ice crusher should be easy to use, powerful, have a visually appealing design and suitable size. You can rest assured one of the ten ice crushers will perfectly suit your needs. Try one and you will glad you did.